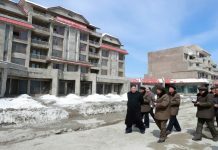 North Korean children received cookies in celebration of Kim Jong Un’s birthday this year that local sources reported to be an improvement over last year’s batch. 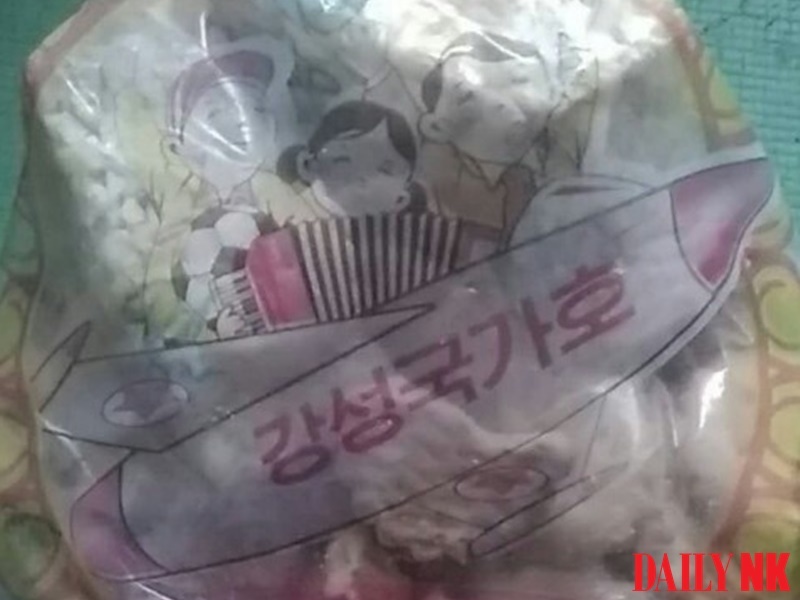 The photo of the cookie bag that the source sent to Daily NK is similar to last year’s bag. It containted contain 100 grams of soybean candy, 400 grams of jawbreakers, 200 grams of biscuits, 240 grams of “child cookies,” a bag with two pieces of bubblegum and two bags with five pieces of peppermint candy each. 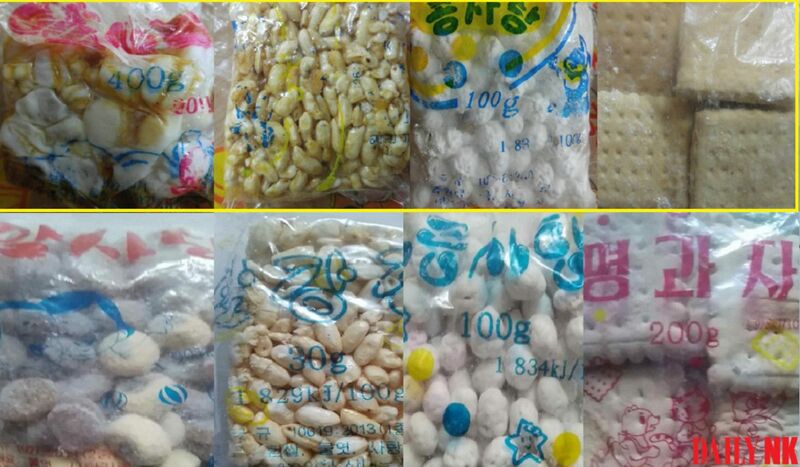 There are clear differences, however, between this year’s goodies in terms of the appearance and color compared to those handed out in 2017 for Kim Il Sung’s birthday on April 15, a picture of which Daily NK also obtained. The biscuits in particular appear to be of much higher quality. 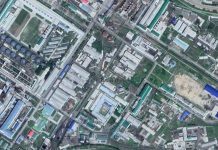 However, the cookies, produced in provincial factories, are not as high in quality as those produced by the KumCub Food Factory in Pyongyang, according to the source. 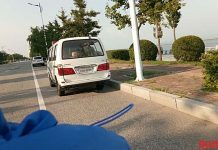 Until last year, the cookie bags that were given to children to celebrate Kim family birthdays were famously low in quality. The cookies were generally poorer in quality than those sold in the markets and were often left uneaten. Cookies were previously considered a rare treat in North Korea up until the 1990s. North Korean officials were aware of the issue as many of their own children refused to eat them. “The biscuits are not hard or stale like in the past, but crisp and soft. They are sweet, so kids like them. The Korean taffy handed out last year also melted too quickly and stuck firmly to the inside of your mouth, but this year the taffy was made with sugar powder so it’s better,” said a separate source in Ryanggang Province who received the treat bag. “Most well-off families have given the cookie bags to other people or sold them in the market cheaply, while buying other cookies for their kids to eat instead. This year, the quality of the cookies has increased so much that the price is likely to increase as well.